Cover Charge: Mon – Wed No Cover, Thur $5 after 8pm. No cover with college or military ID. Friday $10 after 7pm. Saturday $5 before 7pm, $10 after 7pm. Sunday No cover before 8pm, $5 after 8pm. No cover all night for service industry. Parking: Street metered parking. Meters free after 8pm. Put on your dancing shoes and get ready to sing along at The Shout! House! 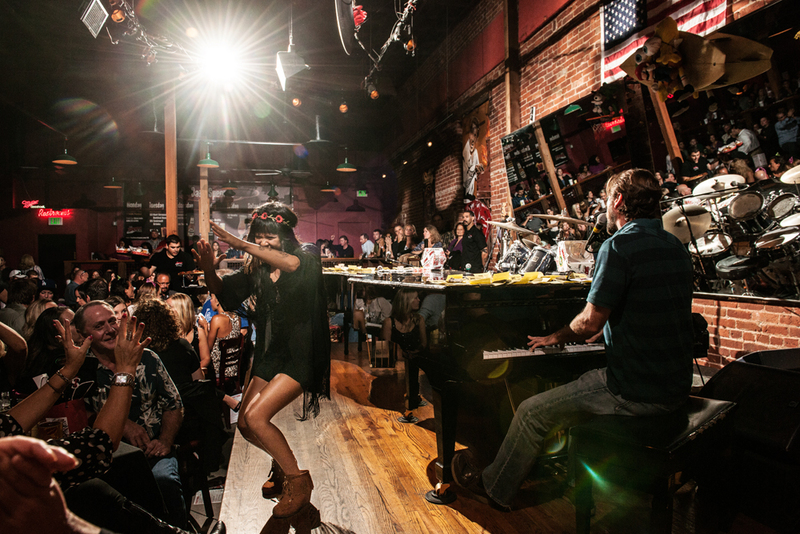 This dueling piano bar brings high-energy performances to San Diego. High-quality sound and professional lighting lets you experience a night you will never forget. 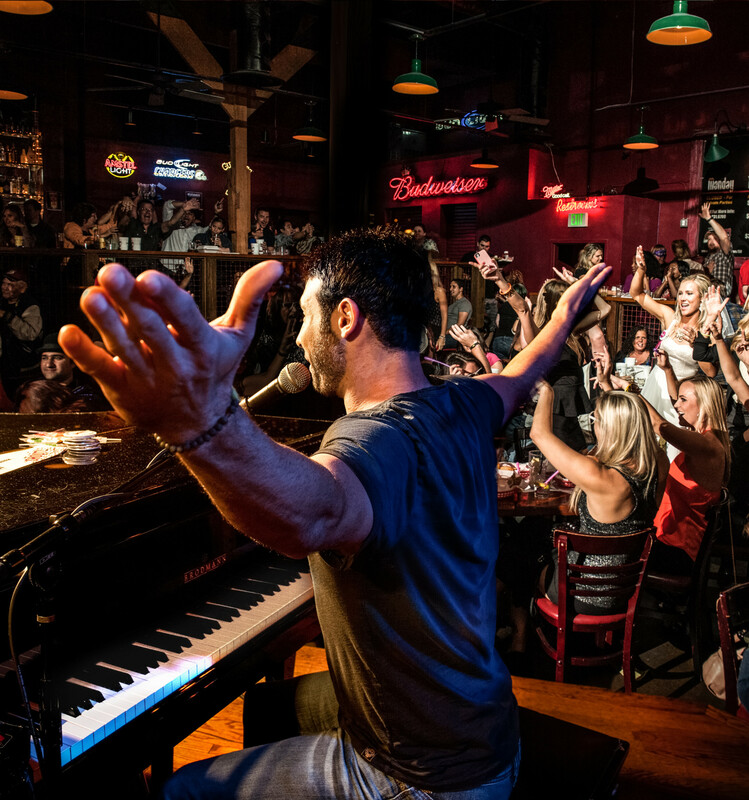 Join us in sunny San Diego and dance to the rock n' roll music of talented dueling piano players who are more than happy to take your requests. Two face-to-face grand pianos take the stage with a mirrored backdrop so you can experience all the action. With hits from the 1950's to today, the Shout! House in San Diego specializes in birthday, bachelorette, and bachelor parties. Along with an unforgettable show, The Shout! House serves refreshing drink specials and a delicious menu of food for guests to enjoy during the performances. Exclusive VIP sections let you experience the music up close with special Shout! outs from the musicians. If you're searching for a lively show where the party is non-stop and all your own, look no further than The Shout! House. The fun is guaranteed. Get ready to shout along with the band and dance the night away to the rocking tunes of dueling pianos and a personalized experience.